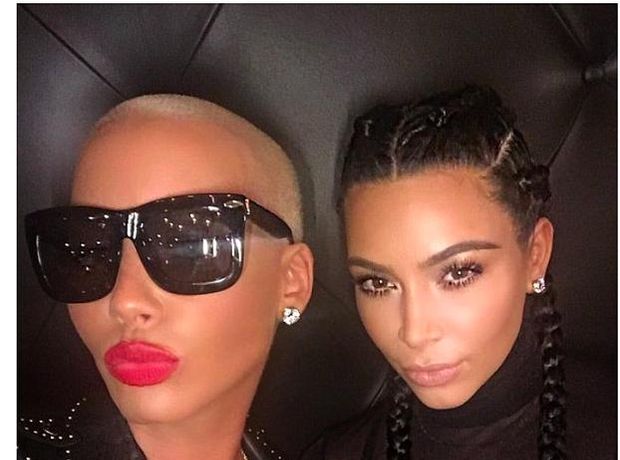 Feb 2016: Kim Kardashian and Amber Rose shock everyone and pose for a selfie together. 17. Feb 2016: Kim Kardashian and Amber Rose shock everyone and pose for a selfie together. Then, out of nowhere, Kim Kardashian and Amber Rose posted a selfie together, taken from a club. Does this mean their feud is over - and what does Kanye think about it? !